The principle is the power of many or source sharing to reduce the energy consumption. The main usage is with 10 solar cell panels (20 square meters). This can power up a 16000 Btu air conditioner or other small utilities in your home. 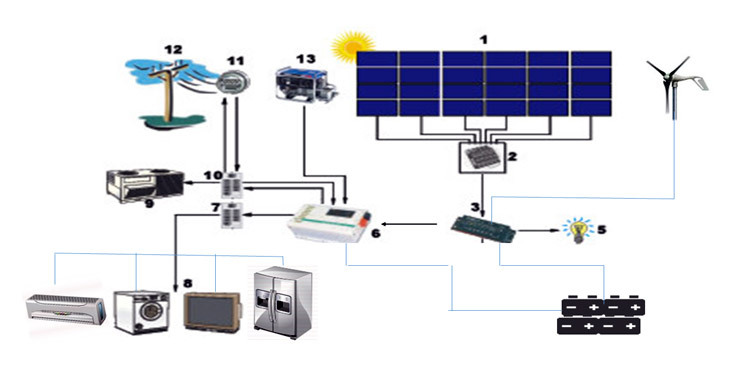 Can use solar power, hydro power, battery, wind power or any mechanized unit like diesel fuelled power. 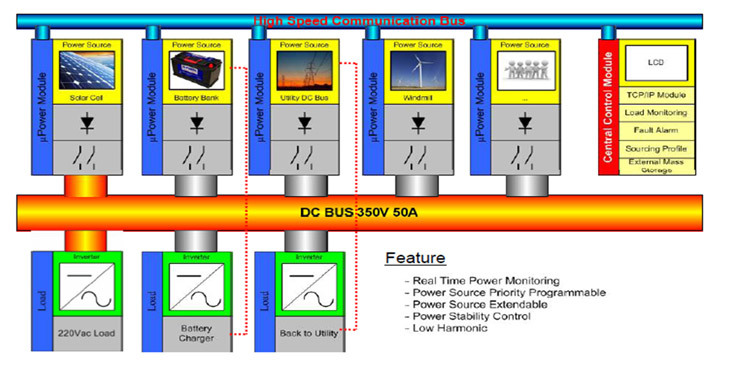 Our e-SG product can be combined with a central energy manager. This will connect the system to local electrical appliances with loads. This combination can manage a wide range or electrical loads, power sources and batteries to form an intelligent and fully automated system. Important benefits for the system owner would include: Use of free on-site generated electricity when the building is unoccupied. Approximately 50% increase in self-consumption (dependent on local conditions). Potential use of up to 100% of free on-site generated electricity, whilst still receiving 50% exports feed in tariff payment (on system sizes below 30kW). A method of combating rising electricity costs by reducing grid consumption. Solar PV panels enable homeowners to generate their own clean, green electricity and we have the experience and technical know-how to specify the very best system for your home. Can install solar photovoltaic systems of all types; on-roof systems for all roof structures, ground-mounted systems, integrated roof tiles for listed buildings and semi-integrated systems built into the roof. It is possible to integrate an e-SG array to a diesel fuelled power grid or any other external power source either to provide back-up power or to be the main supply. The consumption of this Diesel Cuts for The Site, Leading to reduced Fuel Bills. 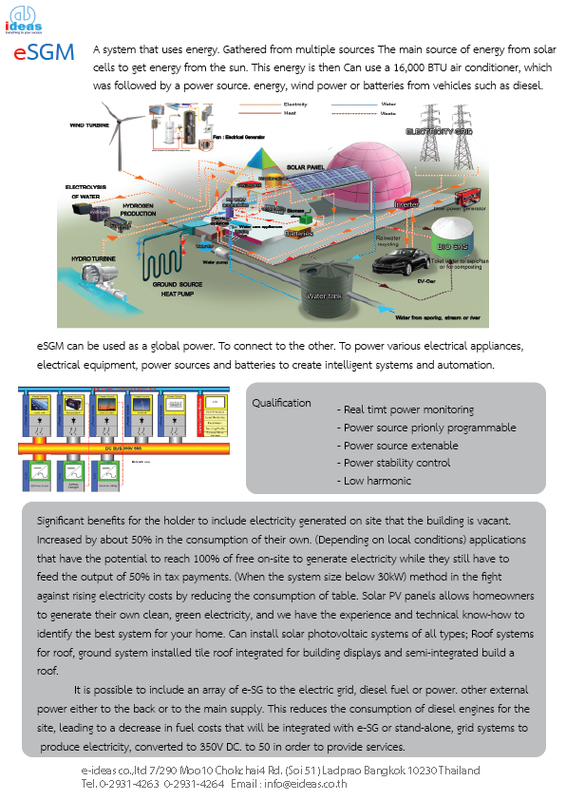 Whether stand alone or Integrated with E-SG, The off-Grid System Will Generate electricity, Converted to 350V DC at MAX 50 A for Supply to The Property.